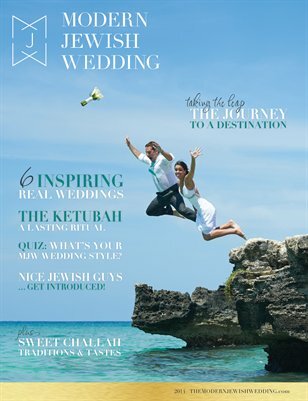 The Modern Jewish Wedding 2014 e-magazine welcomes you to our third edition! Inside, you’ll find 6 brand-new real weddings, some (adorable) Nice Jewish Guys, a handy (and fun) guide to get you to the chuppah, a quiz to find YOUR style, a warm family tradition made fresh, and so much more. Inspiration, humor, and lots and lots of gorgeous ideas for your special celebration.